Good business-to receive an economic return on its investment. Good development-to contribute to the economic development of Bangladesh where telecommunication can play a critical role. v Low cost provider regarding its competitor. v Robi’s all connections are ISD & EISD. v Robi is the only indigenous company using GSM service. v From the very beginning it is providing free TNT incoming & Outgoing. v It has also provided incoming facility up lifetime. v Moreover its contribution to our economy can be notable. 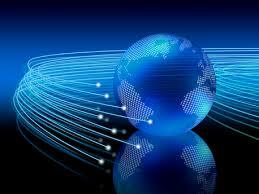 v The progress of development of network is far below from the subscriber expectation. v Better customer relationship than competitors. v Extra features and services. v Moreover its contribution to our economy can be notable. v Subscriber inclination to CityCell as a privet organization. v The progress of development of network is far below from the subscriber expectation. v Not able to capitalize on start. v Premature entrance in a mature market. v Lack of potential and efficient employee.